I cannot believe that as I am writing this I have been abroad for just a week short of three months! The time here has been nothing but amazing. Since writing last I have had the opportunity to travel some in between classes. A large group of students from the US, Canada, and Turkey went to Barcelona, Spain for our first break. It was absolutely amazing. After the four days in Barcelona we traveled to Paris for a couple, and saw the main sights. Last week a large group of us were in Ireland, on St. Patrick’s Day. We got to see a huge parade and literally everyone in the city wearing green, whether is was a crazy hat, face paint, scarfs, shoes, you name it and it was green. The best part of the trip to Ireland though was the day we went to the west coast and saw the Cliffs of Moher. They are absolutely unbelievable. They stand 750 feet above the ocean and looking at the pictures doesn’t do the experience justice. If you ever get the opportunity to travel into Ireland go to the Cliffs of Moher before you leave. Yesterday I bought my plane tickets to Greece for my week long break in April. I couldn’t be more excited! Our group currently consists of four and we are planning on spending a few days in Athens and then possibly making it out to one of the Islands around the city. I have also taken several trips within France, and feel as though I know Paris like the back of my hand. Being a group of college students, on our way home from Ireland we thought, “Our plane is landing around 10PM and our train back to Bordeaux is at 6:30 AM so we don’t need to get a place to stay for that night, we can walk around Paris and see the city at night.” This would have been the perfect plan had it not been the first time in two weeks that we had experienced rain. It made for a great time with friends, lasting memories, and we even learned a Russian card game while sitting outside of the train station waiting to head home. And how many other people can say they have been standing underneath the Eiffel Tower at 3 a.m.? I absolutely would trade this experience for anything! From being waterlogged in Paris, to walking through the museums, to being in Dublin on St. Patrick’s Day, I honestly could not ask for a better semester. 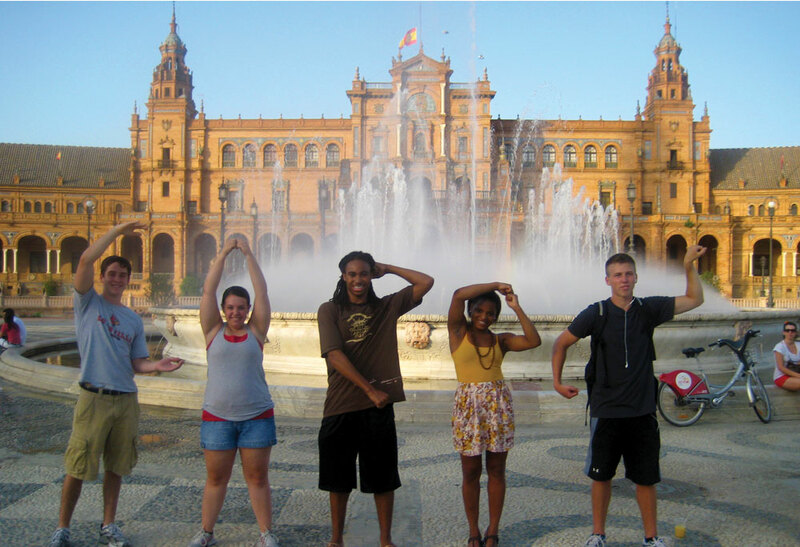 If anyone reading this is on the fence about study abroad you definitely need to go. This entry was posted in Uncategorized by wtfran02. Bookmark the permalink.